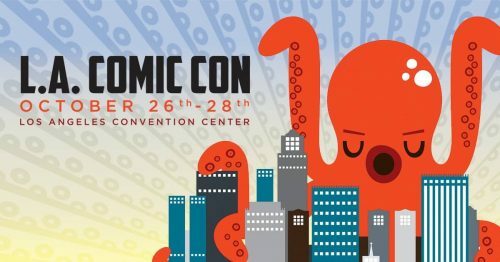 Los Angeles Comic Con is THIS WEEKEND! Los Angeles Comic Con is coming! It runs from October 26th through October 28th at the LA Convention Center. There’s a formidable lineup of creators set to attend the event. This week is a perfect opportunity to become familiar with them. Visit one of the Santa Clarita Libraries to pick up some of their work! Rob Liefeld was an industry leader in the 90s. He created Deadpool, Cable, Domino, and X-Force. Liefeld has worked with Marvel, DC, and co-founded Image Comics. Skottie Young is an illustrator, writer, and cartoonist. Young has drawn for The Wonderful Wizard of Oz, Fortunately the Milk, and Rocket Raccoon. Greg Capullo is a notable comic book artist and penciller. Some of his most popular work was for DC Comics drawing Batman. Kyle Higgins writes comic books and directs films. He’s written for DC (Batman) and Boom! (Mighty Morphin Power Rangers. Steve Lieber has written for DC, Marvel, Dark Horse, Image, and Valiant. His Whiteout series has won Eisner awards. Ryan Stegman is a comic book artist currently working on Venom. Tim Seeley is a comic book artist and writer. He’s known for titles such as Hack/Slash, Grayson, and Revival. Danny Trejo is an actor that has been in numerous films and TV shows. One of his most notable roles is Machete in Spy Kids. Ariela Barer and Lyrica Okano play Gert and Nico, respectively, on Hulu’s Runaways. comic books, comic con, community, fandoms, information, los angeles, los angeles comic con. Bookmark. DIY No Bake Halloween Treats!